GREENWICH — It was a transformation that Greenwich resident Jeff Grant never saw coming. Twenty years ago, Grant was a successful business lawyer in Mamaroneck, N.Y., a member of the Rye Neck school board and owner of “The Good Life” restaurant inWestchester County. But an addiction to prescription pain killers that led to his arrest and imprisonment on charges of money laundering and wire fraud changed all that. 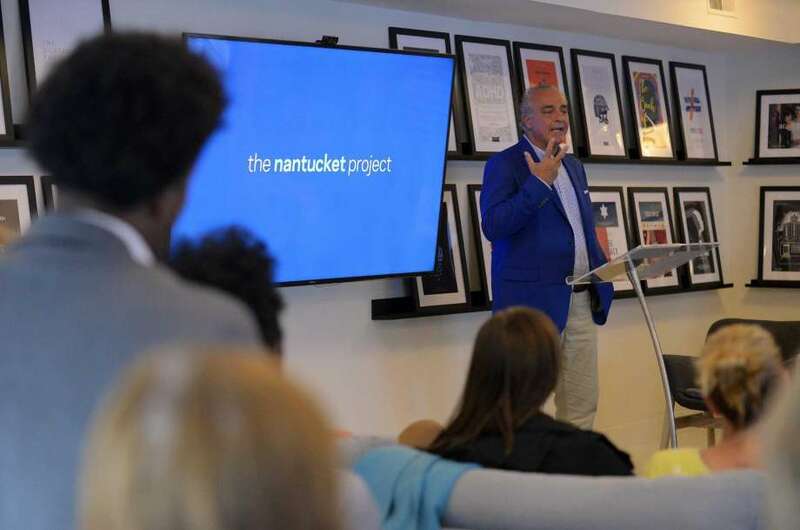 Grant shared his story at The Nantucket Project Library in Greenwich earlier this week. 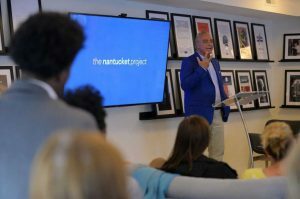 Grant has spoken twice at Nantucket Project events and has known Nantucket Project Founder Tom Scott for 10 years. A literal misstep one day in 1992 set Grant on a path from the corner office to solitary confinement and back again. The 34-year-old Jewish lawyer was playing basketball with one of his firm’s biggest clients when he ruptured his Achilles tendon. On his ride to the hospital, Grant called his orthopedist and asked for Demerol, an opioid pain medication. “I was just in pain and I needed it,” Grant said. For the next 10 years, Grant swallowed the addictive medication nearly every day, picking up a new bottle of Demerol multiple times a week from a doctor friend who he said he lied to and manipulated to get the drug. 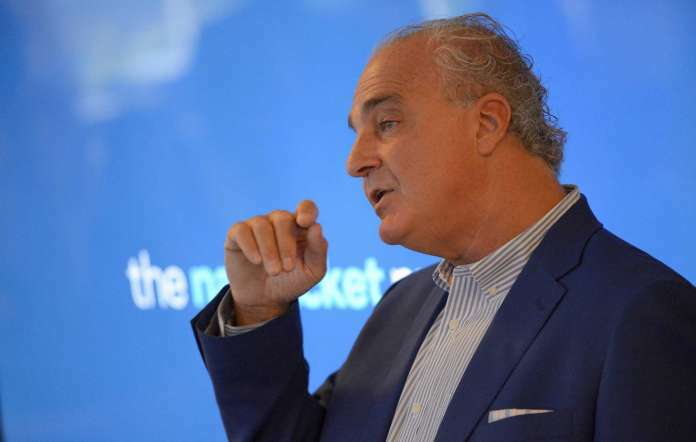 firm, Jeffrey D. Grant and Associates, even more successful — until 2000, when the money started petering out, in part because of Grant’s drug-induced overspending, he said. Faced with financial disaster, Grant gave orders to dip into the account reserved for funds received from and intended for clients. Two years later, in the haze of an Oxycontin high, Grant said he decided to embellish an application for a $240,000 Sept. 11 disaster-relief loan from the Small Business Administration. Grant lied on the application, stating that he had an office in Manhattan, and used the funds on personal spending. That July, when it became clear he was going to lose his law license for ethical violations, he resigned the license and swallowed an entire 40-tab bottle of Demerol in a suicide attempt. After a seven-week stay at a New Canaan addiction facility and two-years of intensive drug recovery programs, with his house in foreclosure and his wife on the verge of leaving him, Grant said, he felt like he was finding himself. At 20 months sober, while walking on West Putnam Avenue in Greenwich, Grant got a call from the FBI. Because of his Sept. 11 loan, Grant was under arrest. He handed himself over to the U.S. Marshalls in Manhattan, pleaded guilty to wire fraud and money laundering charges and was sentenced to 14 months in prison. On Easter Sunday 2006, he was checked into the low security Allenwood Federal Correctional Institute in Pennsylvania. When he was released in June 2007, Grant reconnected with his drug recovery community. He volunteered at the New Canaan facility and later at Family Re-Entry in Bridgeport, a nonprofit with wrap-around services for individuals leaving the criminal justice system. Grant was baptized a Christian, and in 2009 applied to the Union Theological Seminary in Manhattan. He graduated with a master’s in divinity and a focus in Christian social ethics in 2012. He started preaching at First Baptist Church in Bridgeport. At the same time, Grant realized there was a need for spiritual guidance and practical advice for convicted white-collar criminals in Greenwich. In 2012, Grant founded Progressive Prison Ministries in Greenwich — an organization that provides counseling and support for local white-collar criminals as they transition in and out of jail, which Grant says is the first of its kind in the United States. ReEntry, after several years on the organizations board of directors.